The Alpine Fourthousanders are 52 magnificent mountains that make up one of the mountaineering world's major tick-list challenges. 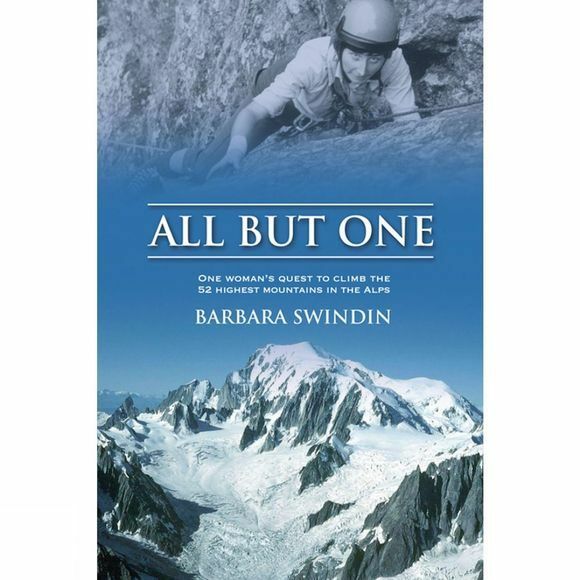 Barbara Swindin describes, with verve and honesty, her attempts to reach the summits, her triumphs and shortfalls, and her slowly dawning awareness that she just might become the first British woman to climb them all. But, although the goal was a heady one, still more important is her enduring delight in the mountain environment. Alongside Barbara's own exploits on foot and ski are insights into the 'petticoat pioneers', women who dared to tackle alpine routes at a time when alpinism was strictly the preserve of men. She also looks at the progress that has been made by women since. Barbara grew up in 1950s Gloucestershire (where, as she points out, nothing exceeds 350m above sea-level) and has never regarded herself as a natural sportswoman. Nevertheless, she is a member of the Alpine Club who succeeded in climbing the Alpine Fourthousanders – all but one. Barbara Swindin has lived in Gloucestershire most of her life and worked as a full-time lecturer in Further and Higher Education. She spent most of her vacations climbing mountains in the UK and the Alps with her husband and friends. Describing herself as just 'an ordinary climber', Barbara is a former President of the Gloucestershire Mountaineering Club and Member of the Alpine Club, and reached the summit of all but one of the 52 highest peaks in the Alps. She also traversed the Swiss Alps on ski from France to Austria, completed the Scottish Munros and climbed many classic routes on the crags of the Lake District and Snowdonia. In her retirement she has become a painter and printmaker.